Find sun catchers, jewelry & Newfoundland and Labrador themed magnets & more. Made from locally collected Newfoundland sea glass. 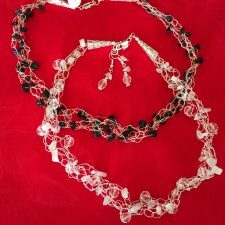 Handcrafted Jewellery, Bead Knitted Purses & Stitched Gifts. 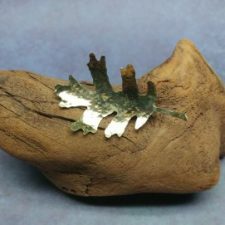 I make my pieces from brass and copper sheet metal, wire, pennies, bullets, wood, birch bark, resin, clay, glass, paper and stone. 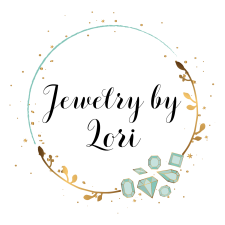 Handcrafted jewelry included a variety of studs, drop-earrings, beaded bracelets, necklaces, adjustable rings, and more. Local Newfoundland sea glass found and transformed into unique art pieces and jewelry. 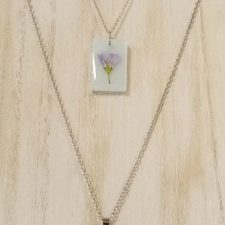 Velvet Snow Accessories is a collection of jewelry and accessories, handcrafted with epoxy resin and real, pressed flowers. 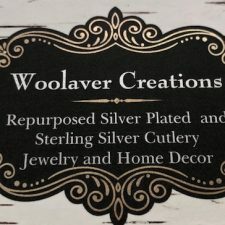 I am a hobbyist making spoon jewelry and home decor for 12 years now. I work more with silver plate but I am increasing my sterling silver stock all the time.